When you look at your activities and opportunities in commercial real estate brokerage, you will see some advantages to be had when you breakdown your business tactics and refine them over time. There are things to be seen and converted with listings, clients and marketing. Improved tactics can produce better results in sales, leasing, and property management. Are you up for some tactical shifts and prospecting improvement? Market locations – Assess your activities by location or property precinct and perhaps break up the region into segments of streets. You cannot be a property specialist across your entire city (unless it is a small city), so specialise deeply into an area. When you look at a location you can see your listing status for the region and the numbers of listings that you have in comparison to other competing agents. 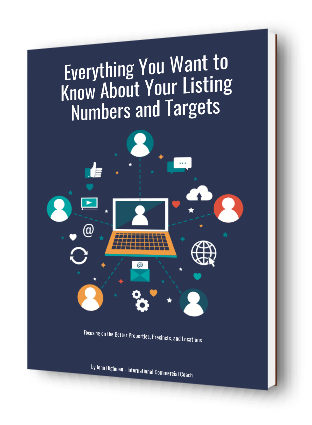 Differentiate your listings between open listings and those that you hold exclusively. Property types – When you look at your sales and leasing activity over the last 12 months, can you regard yourself as a property type specialist? What would that speciality be for? Industrial, office and retail properties all have sub segments that are worth considering as a speciality. For example bulky goods warehousing, heavy industrial, light industrial, and hardstand. 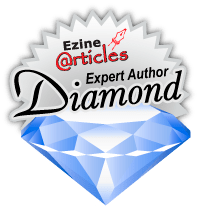 Listing strategies – There are plenty of differences to be seen in listing types. Auctions, tenders, expressions of interest, sale at a price, and exchange are all variable ways to list a property. The point here is that one type will be better for the client and for you from a results perspective. Marketing systems – How can you market a property comprehensively into a segment of buyers or tenants? Its a simple question, but the answer will have a big impact on your results. Consider the online and offline marketing alternatives today. What methods would you recommend to the clients that you serve in sales and leasing. Presentation skills – The property presentations that you do should be shaped for each client and the property situation. So you have some ‘homework to do’ before each property presentation. Clients will have preferences to absorbing and interpreting property facts and data. Some clients are listeners, some are visually orientated, whilst others want the statistical facts. Get to know your client before you tackle the presentation of your ideas and recommendations for their property. Property inspections – Look at the alternatives that can apply to a property inspection. How would you take a qualified tenant or buyer to a property? What regions of the area and city should they see (and avoid) as part of any inspection or travel to the property? How will you move the prospective person into and around the property? The questions are really important when it comes to creating momentum and interest with the inspecting parties to go to the next level. Negotiation skills – You will have a preference for certain approaches to property negotiations. Given that you really don’t know the other person very well, your ability to shift negotiation methods will be critical to creating and closing on offers in both sales and leasing situations. Practice your negotiation skills so you can shift tack when another party counters on any offer. Database growth – In referencing the ‘database’ concept here, it is because it is critical to understand what works for you when it comes to growing database contacts over time. Are you a person that prefers to create business momentum through meetings, cold calling, or direct mail? To a degree you can use all 3 methods simultaneously, although one method will be your preference. So now you can see why ‘tactics’ in commercial real estate brokerage should be split up and assessed. Soon you will see what can work for you and your business system as a broker or agent. Get more tactical tips in commercial real estate brokerage in our eCourse right here.